Jimmy Fallon Donates $1 Million for Hurricane Harvey Relief: Watch! Jimmy Fallon and ‘The Tonight Show’ Donate $1 Million for Hurricane Harvey Relief: Watch! Jimmy Fallon and The Tonight Show are helping Hurricane Harvey victims in a big way. The host announced during the Tuesday, September 5, episode that his NBC late-night show is donating $1 million to J.J. Watt’s Hurricane Harvey relief fund. 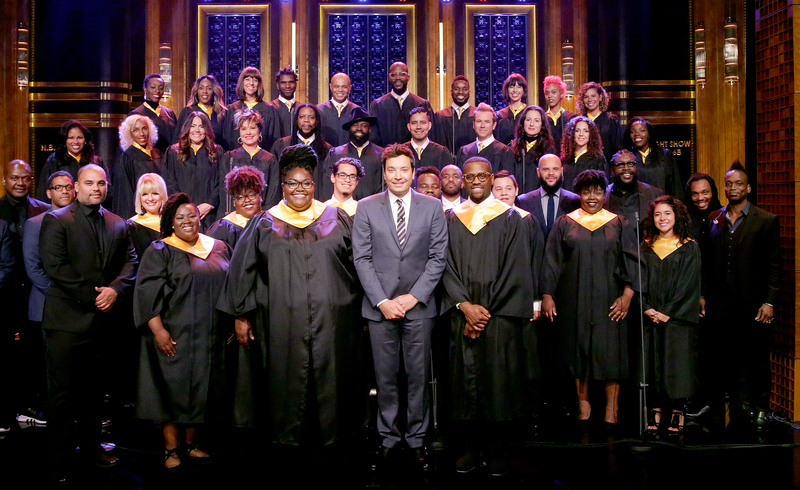 Fallon then introduced White and Taylor, as well as a Houston choir, to sing “Lean On Me.” The choir even changed the lyrics to “Lean on me, Houston” in tribute to the city that was devastated by massive flooding. The Tonight Show airs weekdays on NBC at 11:35 p.m. ET.